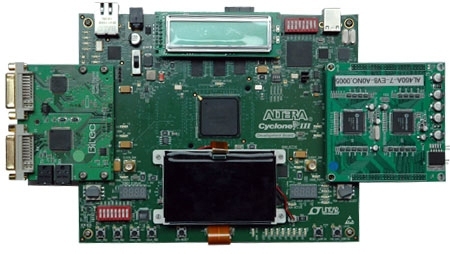 This EVB board is designed for evaluating the AL460A HD-FIFO integrated chip. It has two embedded AL460A-7-PBF (or AL460A-13-PBF) chips operating in parallel, expanding the bus width to 32-bits. Control signals and data bus signals are available on two 50-pin connectors; one connector is reserved for write controls and the input data bus; the other one is for read controls and the output data bus. 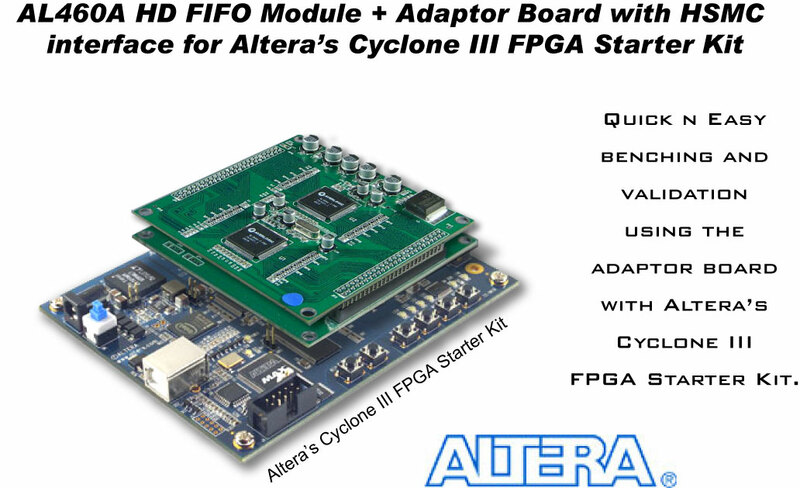 A separate adaptor board (HSMC interface) is available to the user for connecting the module directly to an Altera's Cyclone III FPGA Starter Kit for any necessary solution verification/ validation. The AL460 chip is designed with a straightforward bus interface, reducing implementation and debugging efforts, and helping customers develop faster and more efficiently. This board is especially designed and optimized to be easily integrated as an add-on module on existing systems, significantly reducing interface engineering issues commonly found in retrofit efforts. This allows designers the luxury of being able to focus on core functionality and product quality. HD-FIFO is a proprietary design technology used to overcome issues commonly hindering and limiting other frame buffer devices (e.g. SDRAM, DDR…etc) found in FPGA solutions. Traditional FPGA implementations require higher I/O pin totals and place heavy demands on logic resources and property memory controllers, forcing a designer to move up to higher grade FPGAs. 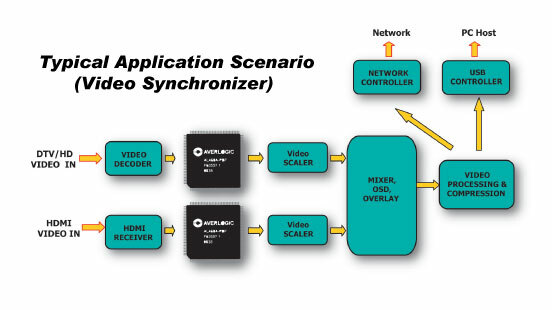 In contrast, AverLogic’s HD-FIFO requires significantly less in I/O pins and logic resources, at the same time overcoming latency issues therein. 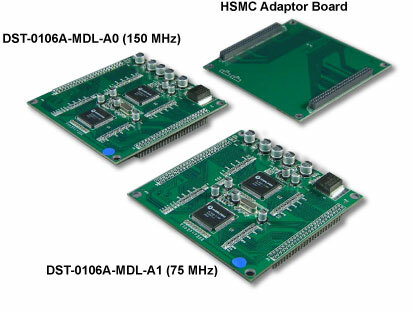 The programmable I/O controls and double buffer mode increase design flexibility and reduce FPGA overhead.